Nintendo managed to squeeze quite a bit of the Super Mario experience into the original Super Mario Land, but many gamers felt like the game was a bit too scaled down to feel like a true adventure from the series. Nintendo obviously sensed this when they sat down to create Super Mario Land 2: 6 Golden Coins, as this title basically took everything that was great about the original and made it bigger and better. The end result was a much more well-rounded Super Mario game and one that further proved that the Game Boy could offer up a home console-quality gaming experience when done correctly. Of course this title is also well known for introducing the gaming world to Wario, a character that would soon have a game series of his own. 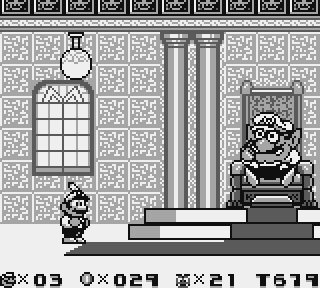 The story in Super Mario Land 2 revolves around a new nemesis for Mario. The evil and greedy Wario has taken control of Mario's Castle and now it's up to everyone's favourite plumber to unlock the seal that Wario has put on the castle door itself. This means that you'll have to play through six different areas in order to collect the hidden coin in each. These areas range from the haunted Pumpkin Zone to the mechanically-themed Mario Zone. Each features four levels for you to play through with a boss located at the end of the fourth stage - if you can take out the boss, you will then be rewarded with a coin. Collecting all six coins will then allow you to unlock Wario's Castle and take the greedy one down once and for all. You'll still spend the majority of your time running and jumping from ledge to ledge, but this time around Mario has a few new tricks up his sleeve. While Mario can still grab the Power Flower, this time around his trusty fireball is back instead of the silly bouncing ball from Super Mario Land. He can also grab a new Magic Carrot power-up that will supply him with a cute little set of rabbit ears. With these rabbit ears he can temporarily fly through the air, which can make traversing some of the trickier areas much easier, not to mention a couple of the nastier boss fights. As you traverse each level there will be certain times when a secret exit can be found that will take you to various bonus levels hidden throughout the world map. Also at the end of each level you'll find an exit door along with a tiny bell up near the top of the screen. If you can ring the bell, you'll get to play a bonus mini-game that can earn you special power-ups and free lives, but you can still finish the level by using the standard door if you somehow miss the bell and can no longer reach it. The play control in Super Mario Land 2 feels quite a bit more refined than that of the original release, in many respects more on par with the home console releases. It has a much tighter feel to it that tends to make some of the more pinpoint platforming sections more manageable and playable. The levels themselves are also longer and more intricate in design, which adds to the title's heightened sense of playability. It's clear that the developers at Nintendo wanted to smooth out some of the rough edges from the original release and they clearly went above and beyond the call of duty with this amazing package. There was even the addition of a save feature, with three separate profiles available. Combine that with the 3DS Virtual console suspend state and restore point functionality, and you have plenty of ways to manage your progress. In gameplay and thoughtful design, the end result is a much higher quality gaming experience than the first entry in the series. As if these improvements weren’t enough, Nintendo also cranked up the visual quality for this sequel. Not only are the backgrounds much more detailed, the individual character and enemy sprites are also much larger and better animated as well. There's a wider range of contrasting shades of black this time around, which could make the action a bit difficult to follow on the original non-backlit Game Boy models. Of course this isn’t an issue on the 3DS, and the step up in visual quality is really staggering, a solid indicator of just how quickly the developers were gaining a handle on how to make use of the Game Boy's hardware capabilities. In keeping with the theme of improvement, the musical score and sound effects also got a boost for this sequel. Not only are many of the sound effects much more familiar-sounding, but they're also of a higher quality. Even the musical score itself is quite a bit better than the one found in the original release. There's greater diversity between the various tunes, with many of them fitting in perfectly with the theme of the area in which they're featured. 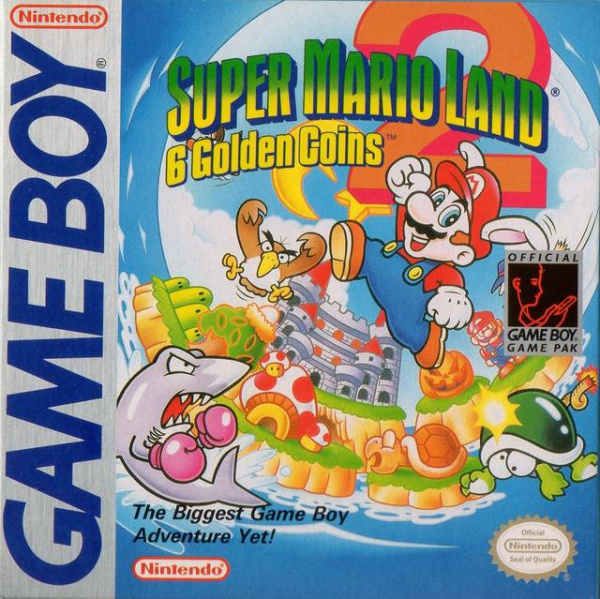 Even considering that Super Mario Land 2: 6 Golden Coins was still a fairly early Game Boy title, you certainly wouldn't know it from the quality of the music the developers were able to harness from the system's limited sound capabilities. It's one of the better Game Boy musical scores and yet another good example of Nintendo's diligence in making this sequel that much better than the previous release. 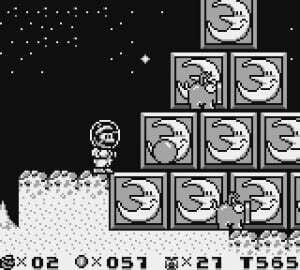 The original Super Mario Land was a solid start for the series on Nintendo's Game Boy system, but nothing could prepare gamers for what the developers were able to do with this sequel. They managed to improve every aspect of the game and even made the adventure a much longer and more rewarding experience this time around. The difficulty is perhaps a bit on the easy side, but it's still one of the best Game Boy titles ever released and a testament to just how capable a game system the Game Boy truly was, and still is for that matter. If you're a Super Mario fan with a 3DS, you absolutely must take the opportunity to own this game; if you're not, this legendary release is good enough to make you one. Playing this game through on my Game Boy at the moment: it's awesome. Crazy, but awesome. My 4 year old daughter could finish this. I struggle against Wario. And The Star Level is hard. Everytime I play this it makes me smile, so that means it's wonderful as far as I'm concerned. I still think the first Wario Land is the best in the series, but this is close. I remember reading somewhere that this game started off in development as a port of sorts of Mario World, it definitely looks like it could have achieved this at the quality this game is on its own. Is it just me or do some of these virtual console games control a little sluggishly, i felt it on nes super mario bros and now on this? 8.5/10. The level design is kinda lame sometimes and the difficulty is just a bit too low. Anyways, awesome game! @sgotsch: Press A B Select (in a row) on the file select screen to activate the easy mode if your really struggle too much, but you shouldn't need it, the game is so easy to begin with :/. This game ain't really that long. I would say, just as SML1 is like a mini version of SMB for the NES, SML2 is like a mini version of SMW for the SNES. For comparison, the file select screen in SMW maxes out at around 98 levels played, while the file select screen in SML2 maxes out at around 32. From what these comments say, games that aren't impossible difficulty or 30+ hours long should have points taken off. Cool! I will be getting this game as of all the Mario series. I'm happy to know that they have made a couple of improvements to make it feel like you're still playing a new Mario game. @Teh-Ray But when a game can be completed in two hours tops, we have a right to complain because the price is hard to justify by nowadays standards. The problem isn't that it's easy, it's that it's so easy it becomes bland and boring. Kirby is easier than this, but it's still a fantastic and very well designed game that's never boring. Picture taking some other Mario game, then removing half the enemies and pits. It would be nowhere near as fun - a barren wasteland of nothingness as you desperately searched for points of interest. That's how this game is. The level design is uninspired, too. They come up with interesting ideas, but don't do much with them. The original Super Mario Land was a far more solid game, and I always preferred that over this. I knew it, I knew this is a real masterpiece!! So you guys don't think this game is worth a measly 4 bucks? Are you insane??? Man, tough crowd. I was actually surprised this landed on 3DS VC so soon. I absolutely love this game! It was a gift for my 13th b-day back in 1992. It's like Mario 3 and world had a baby. Lots of cool fun worlds with the first ever appearance of Wario. Speaking of Wario I'm looking forward to playing those again soon! Right on man! If people can't afford 4 bucks for this amazing game maybe they chose the wrong hobby. I feel sorry for those guys. Different strokes for different folks. I personally found it to be on par with the original GB game. They may be short in length, but it never gets old. I can finish them three times straight, and I would still find it amusing. And to the people who think $4 is expensive, really? It's similar to buying 2 cups of coffe from Starbucks, what's there to lose? having fun playing it along with loads of others.the enemies are a bit weird.one looks like a goomba with a jason mask on and a knife stuck in it.its a lot more fun to play when its not megaman hard. My mom had to pay 30 dollars for this on the cartridge. Now a measly 4 bucks is too much? Dang people. That's like buying a single cheeseburger. Too bad I won't be able to get this until Monday. Oh well...at least I have Four Swords to keep me company until then. Wow. The game is too easy (except for the last level) and can be completed in a very short time, but it is also enjoyable enough to play through multiple times. Given the hardware they were working on, I'm still impressed with everything from the graphics to sound to level design. A 9/10 score is well-earned for one of the best Game Boy games I've ever played. Maybe some people went in with different expectations and felt let down? Decent game, but I've played it enough. The game is in general much too easy for a Mario game except for Wario's castle. Really cool worlds, but just not exciting to play after you've done it a few times already. The levels aren't particularly engaging, so most of the enjoyment comes from seeing the themes in action for the first time. Not close to being on par with any of the console Mario games. @Corbs, of course it's worth 4$, but is it deserving of a 9/10? What are you going to give Wario Land, 11/10? And a 15/10 to Wario Land 2? You ever known a Mario game to be hard? I think that's why just about everyone enjoys Mario. They are easily accessible to anyone. None of the games are hair pullingly difficult. It's supposed to be fun not frustrating. Wario Land has already been reviewed. Got a 10. And deserved every point of it, as does this one with the 9. I think for the third best GB game of all time, a 9 is pretty fair. Oh, and I think the original Wario Land is far better than any of the other Wario Land releases. This game was amazing when it came out and it still holds up really well today. A 9/10 review is totally fair and justified. I found this game to be very difficult. Then again, I haven't played it in years. My experiences involved picking up a friend's copy for a few minutes. This game was the first game I ever got (along the Virgin version of The Lion King). I agree; the first Wario Land was the greatest in the entire set, bettering the ML games and still remaining unsurpassed in subsequent Wario Land entries. However, WL4 might come close. Back on topic- when I originally played SML2, it felt a bit off, with the peculiar levels and overall design approach. I suppose I was expecting something more like the console Mario games. However, all these years later, I'm replaying it in light of what the same developers went on to do with the Wario games, and I now recognize the greatness here. SML2 isn't perfect, but it is a highly original and quirky take on the Mario formula, foreshadowing their decision to switch protagonists and take things in an even more creative direction. "Press A B Select (in a row) on the file select screen to activate the easy mode if your really struggle too much, but you shouldn't need it, the game is so easy to begin with :/." This game looks great and it looks much better than the first SML, I look forward to downloading it later. @mariofanatic128 It is 10 times better than the original, it has better upgrades, graphics, an amazing overworld. It is still one of of my favorite Mario games. Much better than the first SML, but unfortunately it is pretty easy. Still well worth downloading. I just beat this. Great game for sure and absolutely worth 9/10! I thought I was gonna make it the whole way without using one restore point...then I reached Wario's Castle. After dying about 30 times there without even reaching the final boss, I broke down and used me some restore points! Anyway, I think its an extremely well designed game despite a generally easy difficulty. Kind of surprising that they did this on Gameboy hardware! awesome can't wait to try this, I never did the first time around. It looks like this is turning out to be the best retro machine out there and that's what handheld gaming really should be about to me. Fast, great games on the go. Modern games are just too big for mobile play. I will not be attaching dopey add ons just to play games on the train for 15 minute stretches. So happy to be getting the Portable Mario/ Zelda and Metroid games that I missed when I only did consoles as a kid. I think another play through is in need over the weekend! How did this not get a 10?! It's one of the best! It's impossible to play this without a smile. The price for a great game like this is reasonable. I personally have said Nintendo should decrease the prices on their downloads, however I must say that the honest truth is since consumers don't pay a monthly fee for a service (phone in the case of the iPhone) it isn't completely crazy; and the competitors of Nintendo both have similar prices for their games (in the case of Sony and Microsoft, when it comes to downloads). Oh, I'm having a serious blast with this game btw. When I first played it on my cousin's Game Boy, I was amazed at how brilliant this 2D Mario game was. I felt the first Super Mario Land was rather short and it looked dated for a Game Boy title. On the other hand, Super Mario Land 2 is a much better game that improved over the original in every way. It also marked the debut of Mario's greedy and anti-heroic counterpart Wario, who later starred in the Wario Land and WarioWare series. 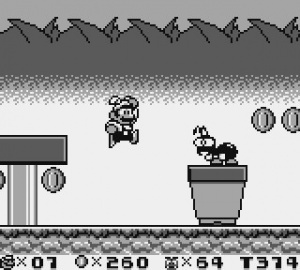 For a 1992 Game Boy title, the graphics look outstanding as Mario and the enemies are nicely animated, while the stages are vastly detailed. The game's difficulty is rather on the easy side, but I still had a blast regardless. 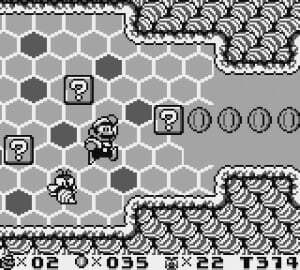 Along with Donkey Kong ’94 and The Legend of Zelda: Link’s Awakening DX, Super Mario Land 2: 6 Golden Coins is another Game Boy classic that's worth downloading on the 3DS Virtual Console. Great, never played this one. I still have my original SML cartridge but never did play another in the series after that. The GB games in 3DS need an update to color and resolution. All are a little blurry. I play this games in my GBA and are awesome, but in 3ds they look a little bad. I totally agree, but I give it a 10/10! Wonderful game! No flaws My only complaint is that it's so short, but longer than the original Super Mario Land. To those who are complaining that the score is too high you MUST be hard to please, because this is a WONDERFUL game with great graphics, sound, gameplay and stage design! This was the first game I really enjoyed on the original GB. I had tried some of the games at a friend's house and was pretty much unimpressed by the console, but someone lended us one with this (and only this) game and I played all through the summer. One of the best Mario games! I'd have given it an 8.5. I have a few gripes about it, but it's not a bad game. 9 seems generous. The world variance and power-ups is enough to make your first playthrough enjoyable, but the levels themselves had kind of a slow/boring feel to them. Searching out hidden paths was the only reason you'd ever go back. I'd give this 7, and SML no more than a 5. This was my first real game I owned. I played an Atari 2600 when I was little because my parents had one. But the GameBoy and Mario Land 2 were the first to actually be mine. I played this game to death!! My system literally overheated one day when I played Wario's castle all day long. I've been playing this quite a bit on my Super Game Boy lately. Too easy, mostly uninspiring levels and little sluggish controls (had problems with that only in the last level though). By Game Boy standarts its 9/10 but otherwise 8/10. Still worth 4€ even though there´s not much replay value. There aren´t too many great games on Game Boy anyways, Zelda LA is actually the only GB title I´d call great even today (Wario Land and Donkey Kong are "only" good and DKL series is quite good too). Wow that score was waaaaaaaay off. After coming to this page, I scrolled right down to the score without reading the review and was like, "WTF!? this game doesn't deserve that! this reviewer needs to be fired for giving this game anything higher than a 8.9/10!" @zezhyrule Nah, it does deserver 10 imo. Dang, I dont have a 3DS so tempted to buy the original cart now! i have mario land 1 for vc. I know this one is better, but should i drop another $4 on it? @16 How is $4 too much for 2 hours of gameplay? You'd gladly pay $50 for a good Wii game that took 25 hours to complete, wouldn't you? Looks like Super Mario world, which to me was a fantastic game. @zezhyrule Now that's some brilliant satire. I haven't played SML2 in quite a while, but i'll never forget the barren uninspired brain dead level design. I don't understand all of the rave this one gets. SML was a bit more fun and challenging imo....Yet SML2 has the power ups, the better graphics, the SMB3-like map, it's longer, it's crazier, it's more imaginitive, it's flashier and it's beefier ect ect....Plus it's get the better commercial. It seems to do EVERYTHING better than the original except the actual level design.....90% of the time it feels like it was designed by a Unbodacious slack faced monkey. If anything, Wario's Castle was easily the best part of the game. Oh yeah, this is a awesome game! What I hated though was that when you lost all your lives, you would also lose all the Gold coins meaning that you had to beat all bosses again! And the last level is EVIL! I still have to beat it! From what I've played, this seemed to be the weakest of the Mario Land games. But for less than $5, I'd still totally buy it. If you look past everything awesome in SML2, you will realise that it boasts some pretty horrible bland kitchen sink level design....It's like there was zero thought poured into it and it comes off NOT feeling like a mario game. But I absolutely love the SML2 World Map and the actual worlds/enivironments themselves. pretty quirky and fun stuff! @Waveboy: How is the level design in any way shape or form bland? They are certainly a lot more imaginative than SML. @kesley: I'm waiting on those two also. Though I'm gonna pass on Metroid 2 if they don't include Super Gameboy support. What is this 'Nothing like a real Mario game' nonsense? Were Mario games defined by 1991? After that there was a cut off? Well nobody told the development teams of Super Mario Kart, an audacious and hugely successful spin off. Brilliant Super Mario RPG developed by Square was 'Nothing like a real Mario game'. Super Mario 64 is no good, because with its huge 3D worlds, it's 'nothing like a real Mario game'. Excellent review, Corbie. I have been enjoying this title immensely on my 3DS. I seemed to skip out on this title as my first GameBoy was the Game Boy Color, 1998 when I was a senior in High School. So while I enjoyed the color-enhanced WarioLands, I completely missed the two games where Wario got his roots (Mario Land II and III). The difference between Super Mario Land and Super Mario Land 2: 6 Golden Coins was like the difference between a penny and a fifty-dollar bill. It really was just breathtaking how much of an improvement it was over the original. And by the way, which is better: Wario Land or Virtual Boy Wario Land? Downloaded, played, loved. Great VC title. This is a huge improvement from Mario Land 1. For those complaining about the score being too high. Most reliable reviewers say the same (9/10). True classic. I actually never played this and I owned a Game Boy back in the day. Downloading soon! Ah the rabbit ears... Raccoon suit and Cape have NOTHING on the infinite hovering ability of these babies. Its a quality game and deserves its score. 8/10 at the very least. Sure its easy but then its still fun to replay again and again. You'd really have to start playing it expecting something completely different not to enjoy it. I think that what SML2 lacks in difficulty and length it makes up for in fun, charm, personality and replayability. Well worth the 9 imho. Nice review Corbs. I love the Robot Mario level and the 2 Space levels. Ah, good times. So glad this one came in. Bought it instantly. Excellent game. should i get this or donkey kong? and where does one find a 3ds esop card in ontario? You forgot to mention that when you get game over, all of the golden coins vanish and you have to beat the bosses again and again. 'The difficulty is perhaps a bit on the easy side' You mean 'non existant', right? I bought this on the original GB back with it first came out, and completed it in one sitting. Although I already had the cartridge, i got this straight away, need this on my 3ds. This is actually one of the few Mario games, I never owned, but I remember borrowing it from a relative, and it was pretty cool, and felt pretty advanced for a Gameboy game at the time. The graphics are pretty good, but the larger sprites, and stuff take up alot of room on the screen, and in some levels the screen scrolls when Mario jumps, making it hard to tell where he's going to land unless you know the level well enough. Regardless, it's a good game. Though, honestly, I think this game is to "short, and easy" for a 9/10 score. That's a bit to generous considering the lower-scores they gave some other decent Gameboy VC games. (Granted though, it should be a li'l challenging in the first playthrough, but you should be able to beat it quickly.) I beat the game in only a day, I remember, but it's still fun to replay, and to try to get enough coins to play the bonus minigames, or to look for hidden levels. Still, I'd give it a 7/10 personally. I kinda prefer the Wario Land Gameboy games personally, sense they felt longer, and felt like they had more to do in them. Are you serious? This game gets the same score as Super Mario 3D Land? 3D Land's level design >>>>>>>>>>>>>>>>> SML2's level design. Also, 3D land is actually challenging. going to pick this up this week. Just bought this yesterday. Awesome Mario-game but the slowdown is pretty bad sometimes. Awesome game. I thought this game was easy, you can make it even easier by pressing select on the file select screen. Mario Land was a fun game, but Mario Land 2 is a classic game. The secret levels, the mini ame exits, all add up to make this a really worthwhile experience. And it launched the Wario series. Which had some awesome games to come. @Homer_Simpson I strongly disagree. this game improves a lot from SML1(Graphically and Gameplay). This game always makes me feel like I am playing a mini SMW.